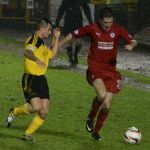 The Rovers were the architects of their own destruction on a cold, wet and windy afternoon at Livingston. 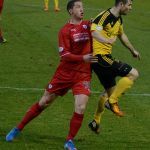 Raith unwittingly gifted three goals to a team who, despite the season of goodwill, were uncharitably not willing to reciprocate. A decent Rovers support easily upped the average home gate of John McGlynn’s new side and as the visiting fans settled in their seats they tried to remember who was available to play. Joe Cardle was still suspended, longer term injuries David McGurn and Paul Watson remained out, Grieg Spence was missing as was Grant Anderson who pleasingly was able to join in the warm up and do some running wearing a snood. This meant that Laidlaw, Ellis, Callachan, Vaughan and Smith all started no doubt annoying the purists who like to see the numbers 1 to 11 on the park. Unusually Grant Murray listed himself on the bench while the ex-works side had Simon Mensing in central defence. The game kicked off following a minutes silence for the two young footballers who died recently. A strong breeze was coming across the pitch towards the Rovers support and throughout the game it brought with it rain in various levels of intensity. Lining up 4-3-1-2 Vaughan in the hole played in Smith early on whose excellent cross just eluded Elliot in the six yard box. 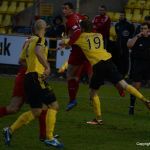 In the 4th minute Elliot’s shot was blocked and the ball eventually cleared, then Ellis mopped up the Jags first attack. In the sixth minute McNulty got wide on the far side and sent a low cross into a largely empty box. Jason Thomson who was moving to cover the front post with no home player nearby saw the ball came off him and go under the surprised Laidlaw for an own goal. Smith ran onto Ellis’s good pass forward but the home keeper got to it just in time. In the 10th minute the home side had their first shot on goal, Barrowman’s effort was blocked at the edge of the box and Laidlaw took it easily. Smith beat Mensing and played in Elliot who teed up Moon but he didn’t connect well with his shot from the edge of the box. 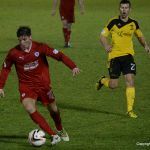 The Rovers then dealt with a free kick and Barrowman’s snapshot went wide. 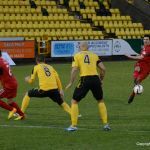 In the 23rd minute Elliot – who was targeted by the small number of vocal home fans – connected too well with a cross from Callachan and despaired as his header bounced up and over the bar, it was a great chance to tie the score. McNulty intercepted a bad pass and ran forward scooping his shot over. 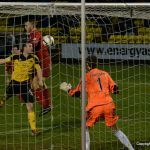 The home side were not creating much offensively while the Rovers still looked most likely to open up their hosts. A back header from a defender saw the home keeper back peddle then Smiths shot was blocked up and away. 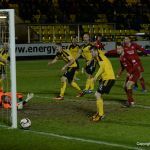 The home keepers handling was poor dealing with a Callachan shot and Smith nearly capitalised. 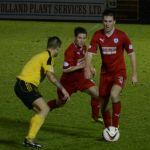 Callachan was playing well and nutmegged Mensing in front of the Raith support, the youngsters cross however saw no takers. 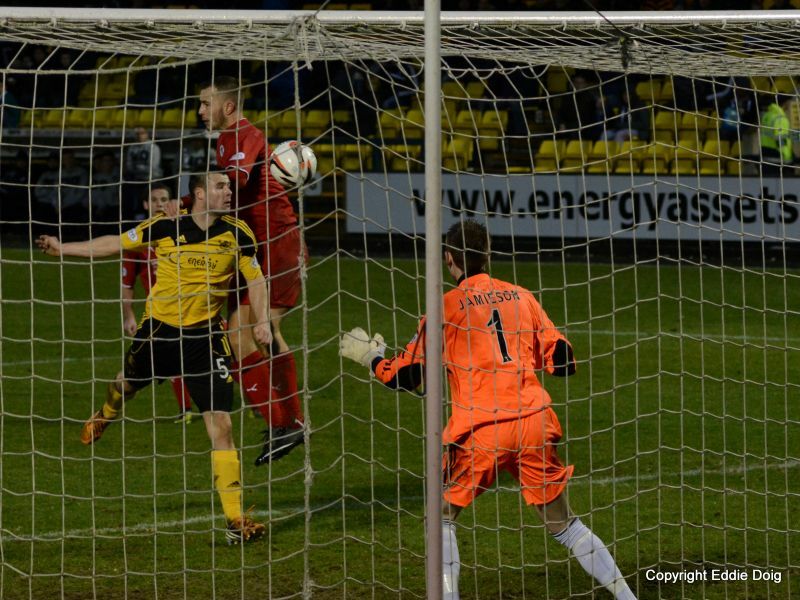 Smith then saw his header from Elliot’s cross held at the back post as the Rovers continued to push for the leveller. Hill blocked a Barrowman shot from outside the box and an under hit pass across the back four was nipped onto by McNulty into the box he went and his effort was blocked as was Barrowman’s but the scrambling Rovers defence were unable to stop Martin Scott doubling his sides advantage… Moon tried to give the score line a more representative look before the half but his shot was pushed away then Jamieson, the home keeper, took two attempts to make safe another Callachan effort. The Rovers fans at the half were lamenting two shambolic lapses which had given the hosts quite an advantage. The hosts were quick to close Raith men down but the home fans must have thought they’d received a couple of late Xmas presents. 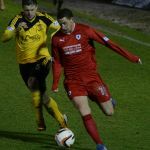 Barrowman was replaced by Mark Birchill for the home side at the half and he almost capitalised on the McNulty’s run from offside but headed over in the 47th minute. Smith and Fordyce were booked then in the 57th then a home man passed across the field to no-one… Ellis misplaced a pass in the 61st minute and Stefan Scougall intercepted – this time it was more difficult for the home side – the wee midfielder managed to get into the box despite stumbling over his own feet and finished well across goal. At last a decent goal however with yet another large assist from the Rovers. At 3:0 the game was over but despite their undeserving advantage the home side still failed dominate. In the 65th minute the wee jags created a good chance from open play – perhaps their best – but Laidlaw snuffed out the danger. In the 67th the Rovers support was on their feet seeing Callachan’s low shot angle through a forest of legs but somehow zip past the post. Laidlaw saved an effort from McNulty before Jacobs had a fresh air shot with no pressure on him. 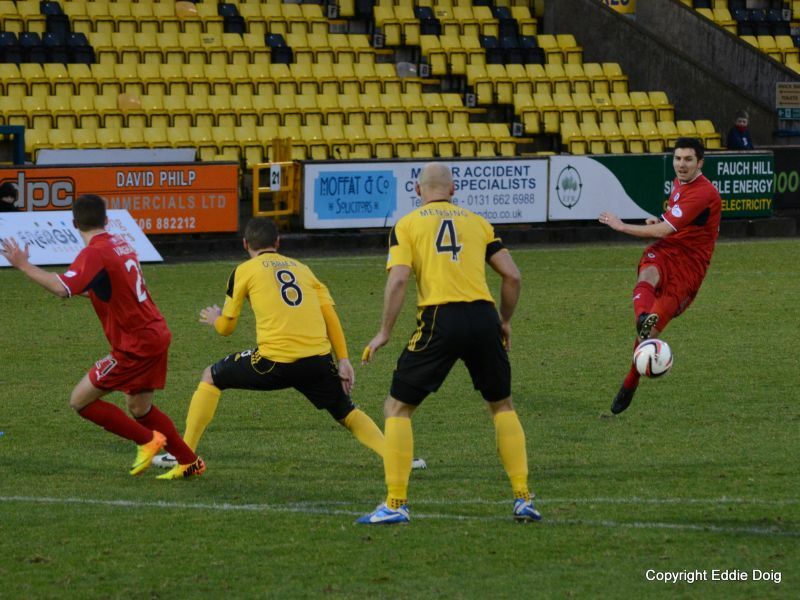 Ellis put a header over from a corner after good work from Callachan. 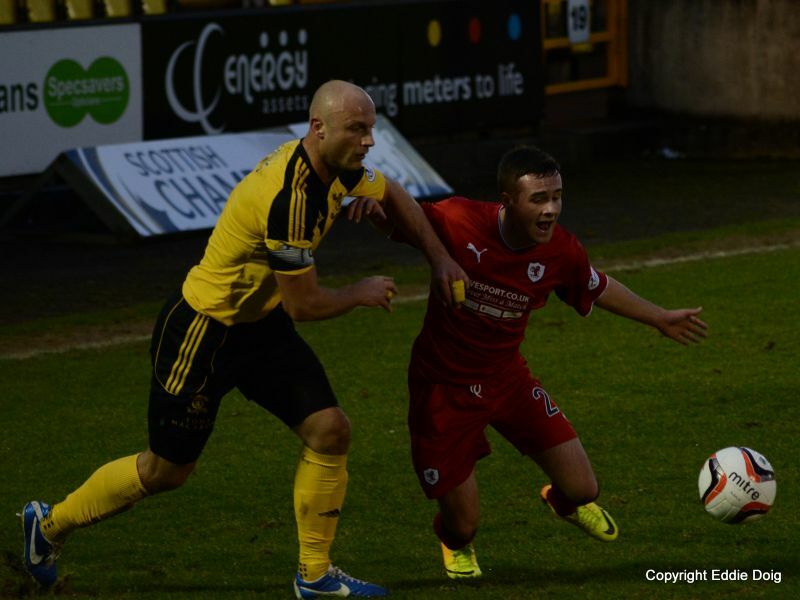 In the 80th minute Elliot was booked for fouling Scougall having just been felled by a home man off the ball without the assailant being penalised. 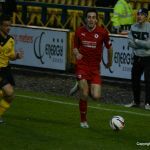 Elliot was replaced by Ross Matthews and the home side managed to get a fourth corner matching the Rovers number as time ran down. Thomson was booked at the death and Laidlaw saved well low in a crowded six yard box preventing what would have been a ridiculous score line. The Rovers did not need to be reminded that if you gift the opposition goals it makes it much more difficult to get a decent result. 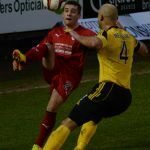 Ross Callachan continued his good form and Matthews got some valuable game time otherwise there was little to dwell on for Raith. 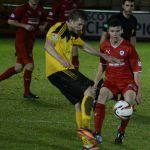 They can however look forward to the New Year game against Dundee knowing that there will be a couple more players in the reckoning for a place. 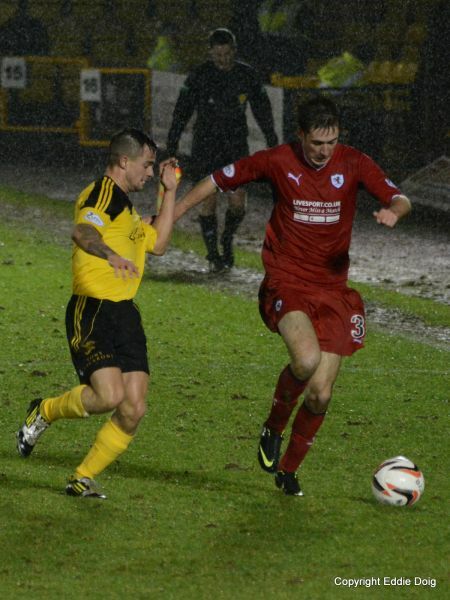 Welcome to a wet and windy Livingston, I hope that Santa was kind to you all. With the squad depleted, Grant Murray names himself as a substitute. A minutes silence will be observed in respect of Jamie Skinner and David Paul who sadly passed away recently. 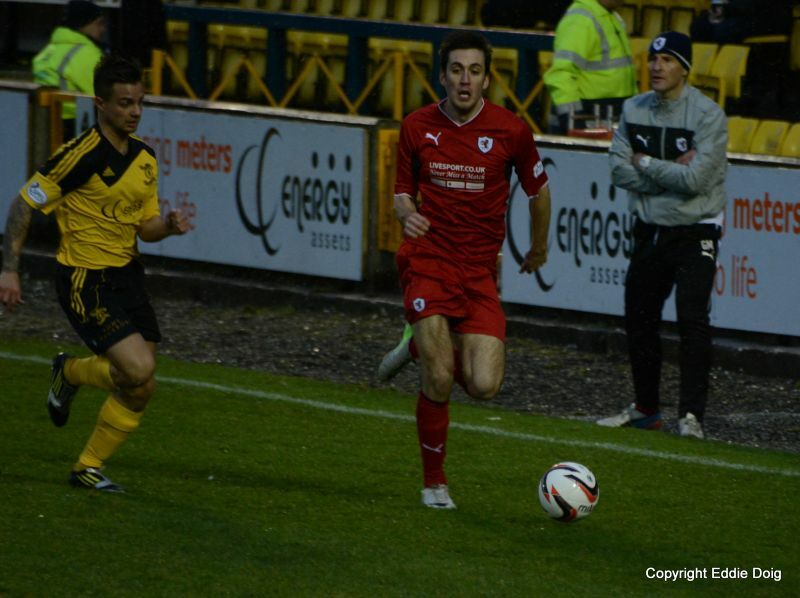 Raith keeping the ball in the Livingston half. Smith floats the ball into the box, but it was just ahead of Elliot. 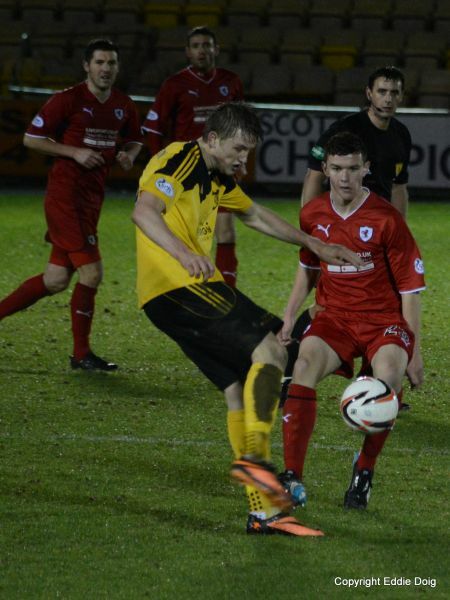 Livi make their first incursion but the ball is cleared. A loose cross along the deck unfortunately goes in off Thomson. 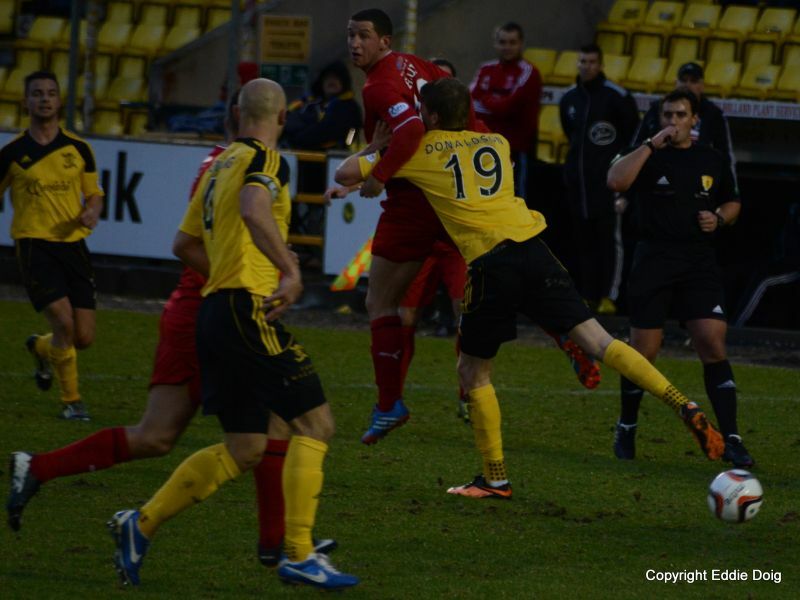 Goal Livingston. Smith one on one with the keeper is beaten before he could shoot. McNulty tries a looping shot, Laidlaw gathers. Elliot shoot from outside the box,Jamieson dives low to his left to save. 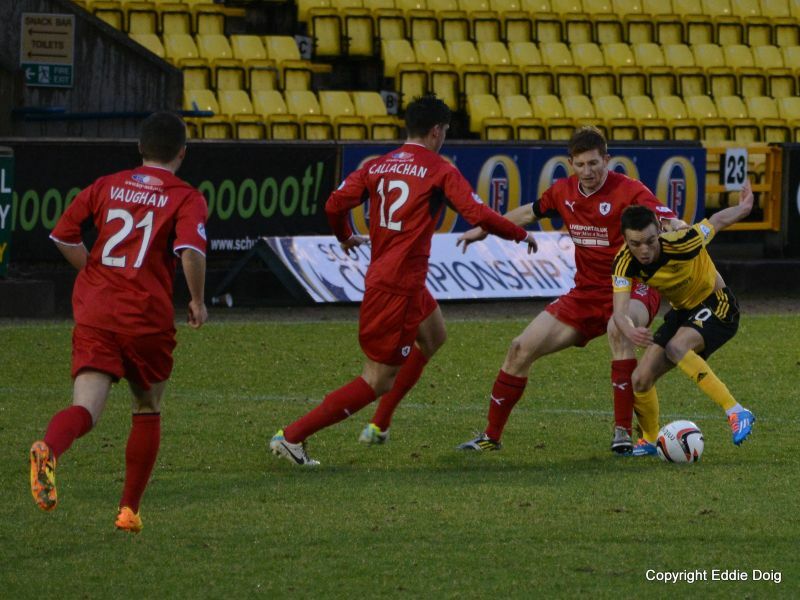 Scougall released McNulty on the left, Thomson clears for a corner. Scougall gives Hill a memento of the match. Fox chips the ball into Elliot who is denied by Mensing. The rain has stopped but it is still bitterly cold. Elliot and Smith enjoying Tag Teaming Mensing. Elliot raising the spirits by heading just over. 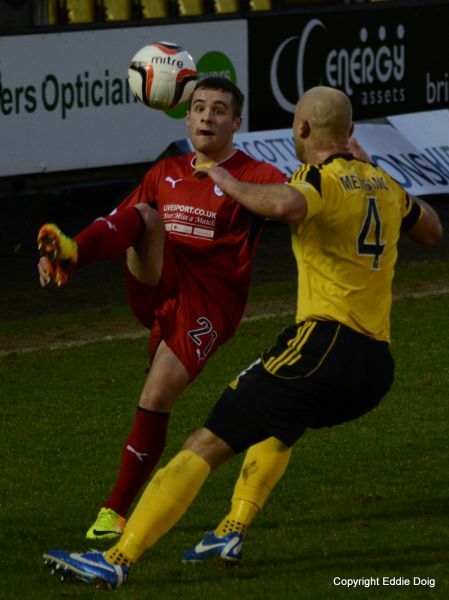 McNulty spurned a chance, straight through his shot goes just over. Smith has a shot blocked from close range, corner. Apart from the goal the match is quite even. Moon shoots from distance, Smith almost beat the keeper, the ball spins away. Mr Norris has an informal chat with Dougie. The game is being played between the eighteen yard boxes. Jamieson spills a save but recovers from the in rushing Elliot. Elliot crosses to Smith who's header at the back post is saved by the keeper. 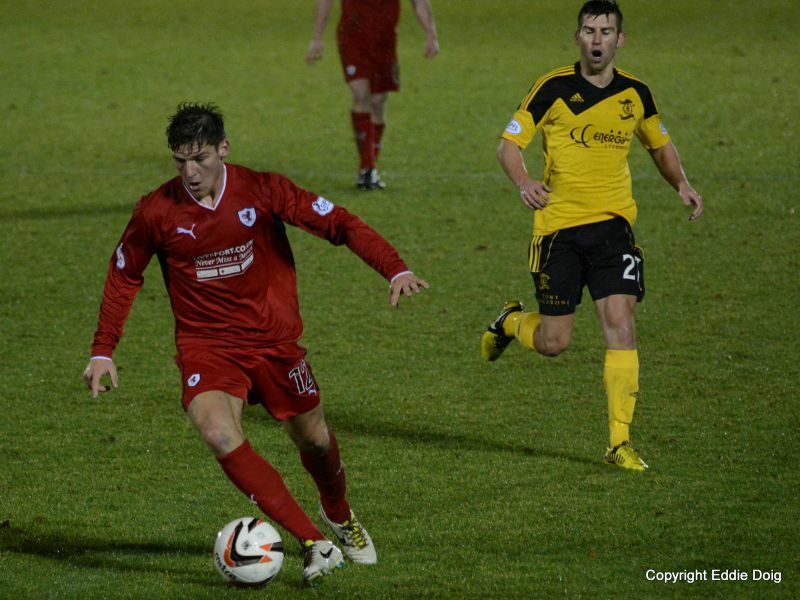 Barrowman fires in from close range and sees his shot blocked by Hill. A disaster in defence lets in Scott to shoot from six yards. 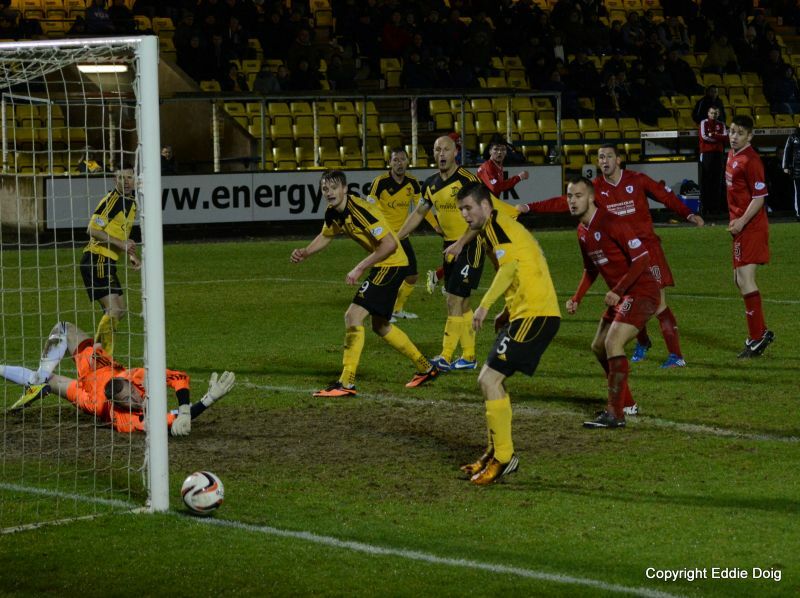 Goal Livingston. +2 Callachan shoots from the edge of the box, the keeper just got hold of the ball. Half time. 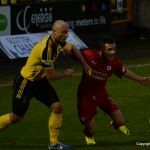 Livi break down the left, substitute Burchill heads over from the cross. Smith and Fordyce receive yellow cards. 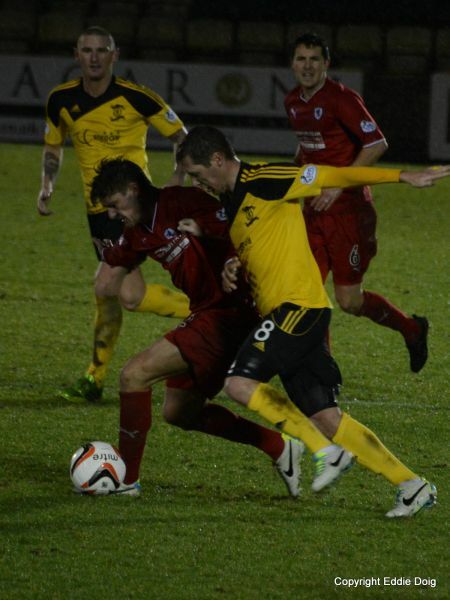 Smith penalized for a sliding tackle, Fordyce for reacting. The wind is causing high balls to swirl about. Vaughan and Elliot combine to release Moon, his shot spins wide of the post. The miserable weather is reflected on the quality of football being played. 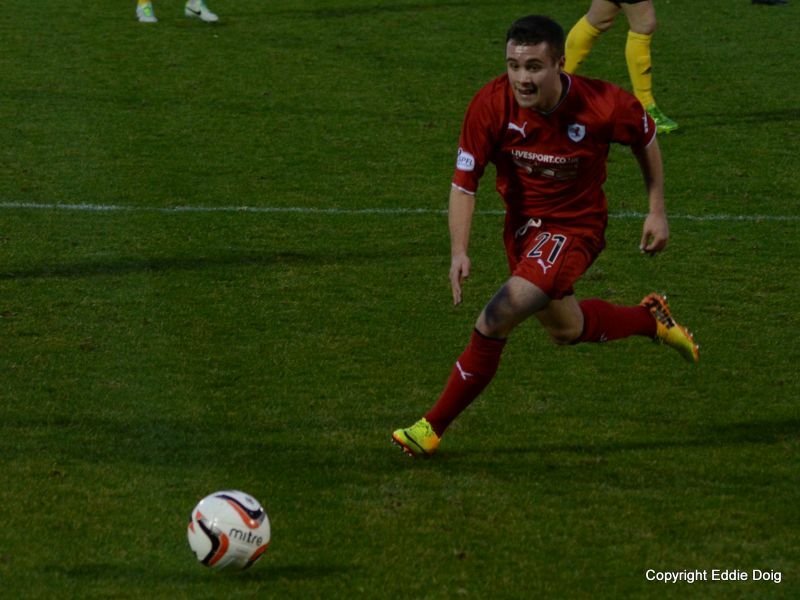 Raith fall asleep on the left an allow Scougall to slot past Laidlaw from a tight angle. O'Brien Chips the ball over the bar from inside he box. Vaughan hits a free kick into the area,it comes out to Callachan, his daisy cutter goes just past the post. Donaldson tells Smith with an industrial challenge but goes unpunished. 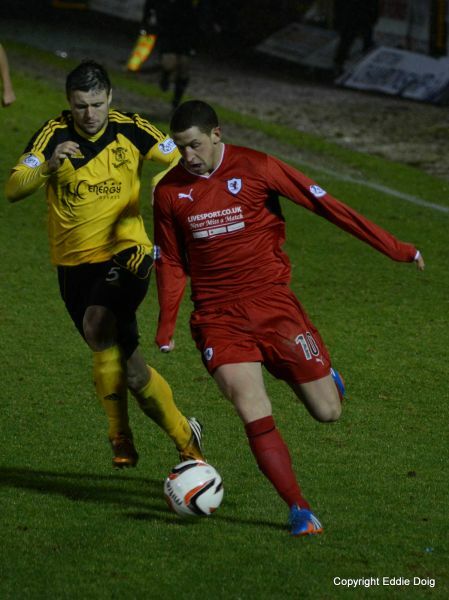 Hill beats Burchill to clear for a corner. Some of the away support have had enough. Elliot receives a yellow fouling as he slipped. Poor challenges going in courtesy of the pitch cutting up. 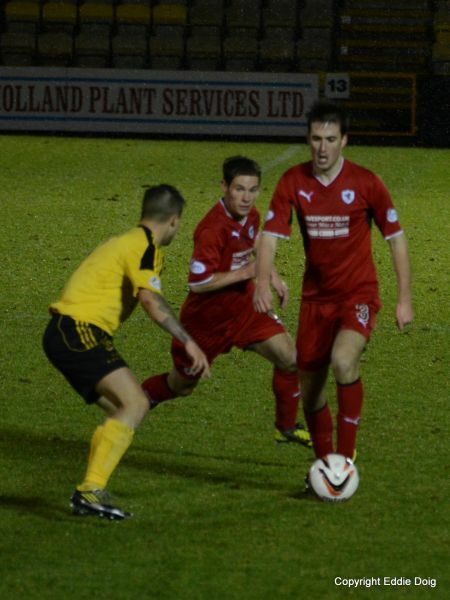 Fordyce off Mampaya on. Elliot off Matthews on. Burchill hits a shot into the top tier of the stand. Laidlaw makes a point blank save an clears up field. Ful time. An all round disappointing performance today, hopefully there will be players returning from injury to bolster the team. The web team wishes you a happy new year when it comes. Jamieson, Fordyce, Donaldson, Mensing, Talbot, Jacobs, O'Brien, Scott, Scougall, McNulty, Barrowman. Subs, Walker, Burchill, Denholm, Docherty, Mampaya, Twadzik, Wilkie. Laidlaw, Thomson, Booth, Hill, Fox, Moon, Elliot, Callachan, Smith, Ellis, Vaughan. Subs, Stewart, Murray, McCann, Watson, Matthews, Bates.